My wife was cleaning our three-year old daughter’s ear with a cotton swab. She turned into the swab causing it to penetrate her ear causing bleeding. How severe can this be? She doesn’t seem to be experiencing any pain or hearing loss. Why do parents use cotton swabs in kids’ ears? We want our children’s ears to be clean and when we do try using a white cotton swab we vividly see how much wax there is to remove. Cotton swabs do remove the ear wax, but the irritation they cause also silently stimulates the body to create excess new ear wax, confirming parents’ sense that the swabs are necessary. A cycle develops. Most of us have not been told why ear wax is good, and how the body is designed to dispose of it. A slow-flowing river of ear wax is created by our bodies to protect, lubricate, and clean our ear canals. Hairs within the ear canal move the wax out to the surface of the ear where it is visible and may easily be wiped away. If there is too much wax or the wax is too thick, the natural flow can be restored with ear drops that thin the wax. Cotton swabs are absolutely unnecessary. They can also be harmful. When a cotton swab is introduced into the ear, it can cause infection in the ear canal, injury to the skin lining the ear canal, or injury to the eardrum. 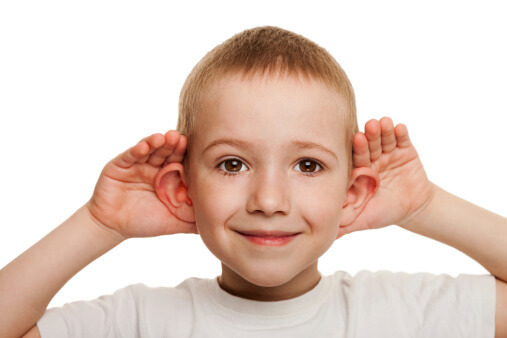 Eardrum perforations might heal on their own or might require surgery to repair. If the eardrum is torn there will be pain, but that will disappear quickly (while minor torn skin in the canal might remain tender). There will be hearing loss, but parents may not notice it at home. Thus, painful foreign body injuries in the ear, especially those with bleeding, should be checked.